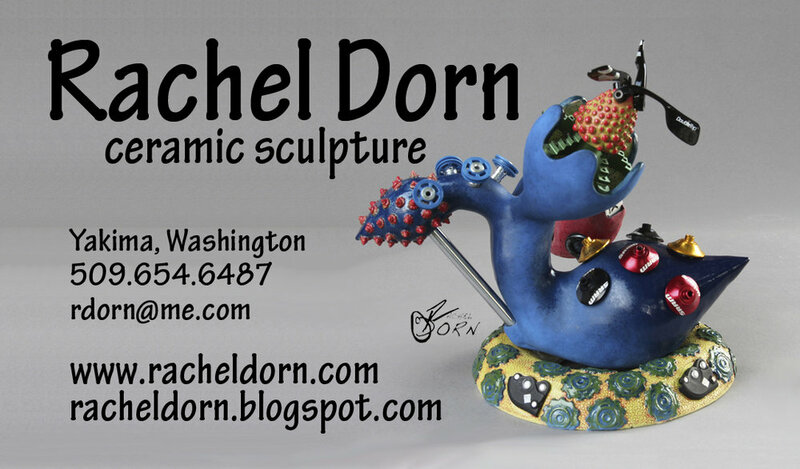 Please e-mail me if you have any questions about my work or would like to see work in my studio. If you would like to see my work without making arrangements, I usually have a few pieces at Oak Hollow Gallery in Chalet Place at 5631 Summitview Ave in Yakima, WA. If you don't live in Central Washington, check my Exhibitions page because I may have work in a gallery or exhibition near you. If you are interested in taking pottery or other art classes I would prefer to communicate with you through my school e-mail at Yakima Valley College.